In 1993 R. L. Stein released the children’s horror-novel Night of the Living Dummy. 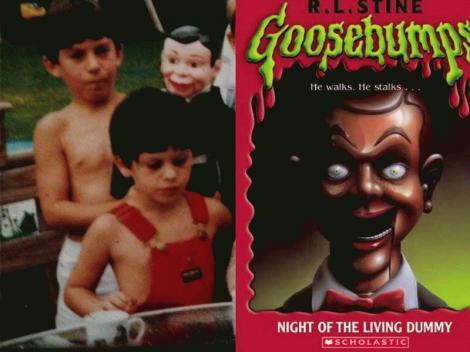 Approximately 2 years later, my older brother would read this novel and come to the realization that the creepy ventriloquist dummy he once received as a birthday gift, looked exactly like the demon-possessed dummy in the book. For approximately a decade after this realization he terrorized me with the dummy. If I left my room he would tuck the dummy under my bed sheets, if I needed to get ready for school in the morning he would prop the dummy up on my toilet seat to await me, if I went in my closet to get a shirt, it wasn’t too far-fetched to find a Charlie McCarthy doll hanging from the closet rail. Puppet shows in school were never enjoyable for me. Due to this traumatic period of my childhood, I’ve come to appreciate a good practical joke; one person’s terror can certainly be another’s pleasure. One of the more elaborate practical jokes I’ve ever heard of occurred right here in Lake George, NY in the early 1900’s. 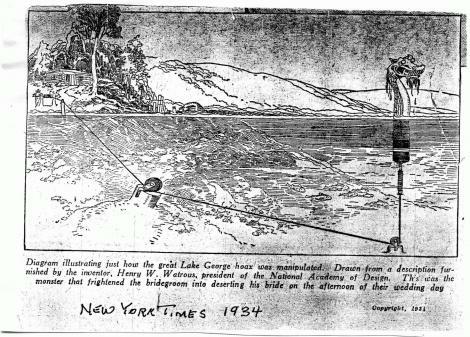 With a wood log, some paint, and a few ropes and pulleys, one man managed to terrorize Lake George. 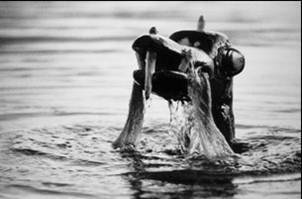 This is the story of “Georgie,” the infamous Lake George Monster. In 1904, William Mann and Harry Watrous were involved in a friendly fishing competition on Lake George. Colonel William Mann, did not play fair though. 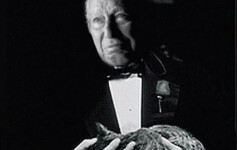 When Harry Watrous was returning back to his Hague residence at the end of the day he saw Colonel Mann holding up what he thought was an enormous fish. The Colonel boasted about his superior fishing skills and even went as far as having the fish mounted in his living room. However, upon closer inspection, Harry Watrous realized that the fish had actually been sculpted out of wood; he had been fooled! One day, as Colonel Mann ferried along a party of guests, Georgie struck. Jumping out of the water only a few yards away from the boat, the frightened onlookers purportedly “lost their wits.” Watrous could have stopped there, he had successfully retaliated, but he decided to go a different route: scare innocent people. Over the next few summer seasons, Georgie, would solidify his spot in Lake George folklore history. As people would boat by Watrous’ home, Georgie would pop up to greet them. Allegedly, he even caused the end of a marriage once by appearing next to the rowboat of a newlywed couple. 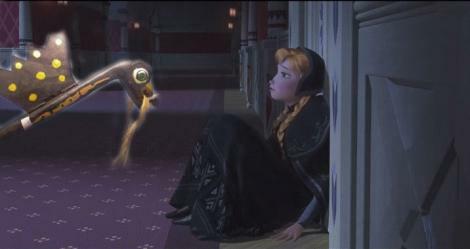 Upon seeing the monster, the husband jumped ship leaving his wife to fend off the monster herself. Why would you jump in the water where a sea serpent is though? He was clearly trying to distract the monster from his new wife! 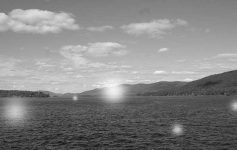 To this day, almost anybody from the region can tell you that Lake George is supposedly terrorized by a lake monster, but few could tell how these stories originated. In reality, Georgie is still around! Currently, the original monster is on display at the Hague Historical Museum… waiting to one day make his comeback. This brings me to the final section of my article. For those who follow my page, you may have noticed that I did not post an article for the last two weeks. This was not because I was lazy, or unable to think of a story. No, it was actually something quite different. Two weeks ago I proposed to my boss that we make a monster and terrorize the public beaches of Lake George. I created multiple plans for building the monster, and multiple plans for implementing its campaign of terror. Surprisingly, my boss did not seem to think this idea was as great as I did. Apparently lawsuits are a big deal? Whatever. So today, since I am unable to create my monster, I want to share with everyone how you can go about making a serpent of your own. The question I pose to you is this: Do you want to build a lake monster? 10. A ghillie suit / Seaweed, leaves, your neighbor’s shrubs, etc. 1. Create paper mache mix using water, flour and white glue. 2. Take some old newspaper and rip it into a lot of strips. 3. Hot glue the PVC pipe and elbow together. Wrap in Gorilla Tape. 4. Hot glue the pointed end of the football into the PVC elbow opening. Wrap in Gorilla Tape. 5. Use the paper mache and strips to layer the PVC and Football. Layer very well. Allow to dry fully. 6. Spray the creation with Flex Seal to make it waterproof. Allow to dry and apply 2nd coat. 7. Paint the monster to resemble a sea serpent. 8. Hot glue whatever else you’d like on… eyes, fins, etc. 9. Find a friend dumb enough to volunteer to do this. 10. Contact a scuba diving professional and be fitted with scuba gear. 11. Once wearing the scuba gear, camouflage the participant with a Ghillie suit or shrubbery. 2. 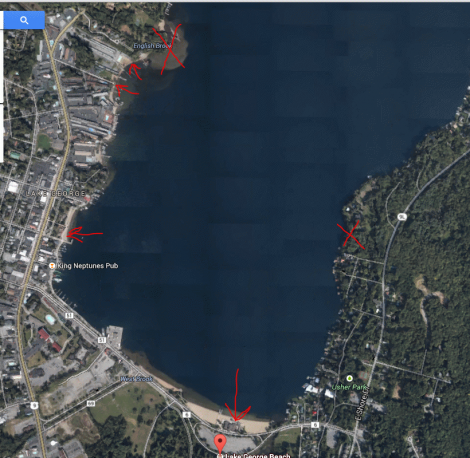 Have someone standing at the beaches who is expecting the monster. They can record the reactions and point out the monster if necessary. 3. Leak the footage to Facebook groups and blogs. Inform local media. 4. Wait at least 2 weeks. Repeat. If someone does accept my challenge, I wish you the best of luck. Happy hunting.